The Elisabeth C. Miller Library gratefully accepts donations of books, journals, and contributions to the library book fund. Much of the Library’s collection has been built from contributions. For those wishing to have a book purchased as a gift or memorial please take a look at our wishlists below. We can only accept books and journals which are within our subject scope of gardens and gardening, horticulture, botany, urban agriculture and forestry, and closely related subjects. We cannot accept books and journals during the months of March and April. Donated material must be in good condition (dry, free of mildew and mold) so that it will not have adverse effects on the library’s other holdings. All gift materials become the property of the Miller Library upon receipt. Each gift will be handled responsibly and evaluated for addition to our holdings by our highly trained staff. Books that are not needed are typically sold in a used book sale with the proceeds going to the benefit of the library. We regret that we are unable to return gifts that are not added to our holdings. Each gift is acknowledged with a letter with receipt date and a brief description of the gift. A listing of the books will be provided if requested, however librarians are not able to appraise gifts or set a value for tax purposes. All gift books will be processed with a bookplate, if desired. Please let the librarian know your preference as to the wording of the bookplate when making your gift (given in your name, or given by you in memory of a loved one). THANK YOU for your gift to the library! Checks are also gratefully accepted. They can be made out to UW – MILLER LIBRARY FUND. Please mail to Elisabeth C. Miller Library, UW Box 354115, Seattle, WA 98195. 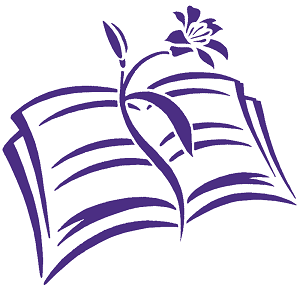 Please recommend a new book (or DVD or Periodical) by sending a message to hortlib@uw.edu. Please give us the title, author, publication date and why you think we should buy the book.